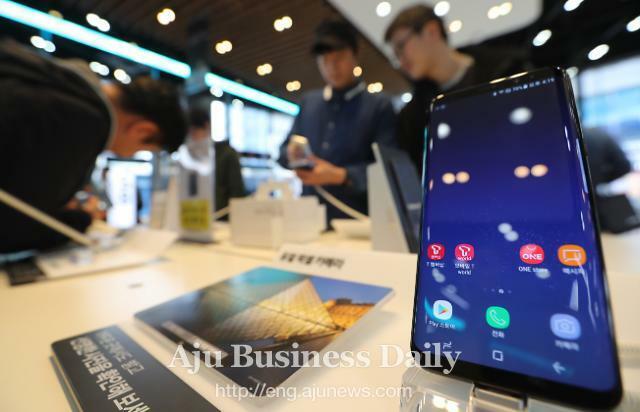 Samsung Electronics began receiving pre-orders for its latest flagship smartphone Galaxy S8 at home Friday, nearly six months after its Note 7 bowed out due to combustible batteries. The price was set at 935,000 won (826 US dollars), a little higher than Apple's iPhone 7 (32GB model – 920,000 won) and LG's G6 (899,800 won). S8 will be released on April 22. The pre-order package included a Bluetooth speaker, Level Box Slim, or Dex, a port which connects S8 to a monitor to create a desktop-like working environment. More gifts have been prepared such as accessory discount coupons and repair service discount coupons. Experts assess pre-orders as a market weathervane for new products before their official release. Smartphone producers and related industries are keeping their eyes on S8's pre-order to see whether it will become a big tsunami.